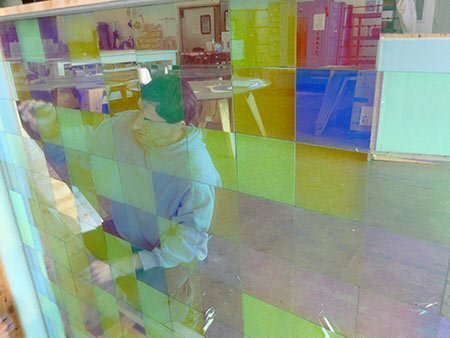 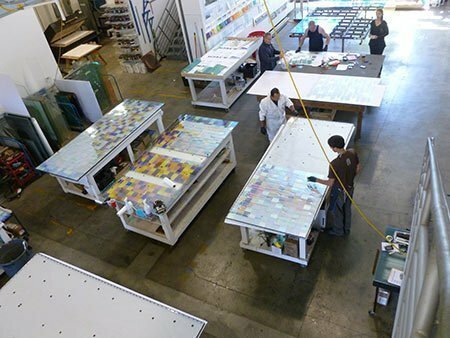 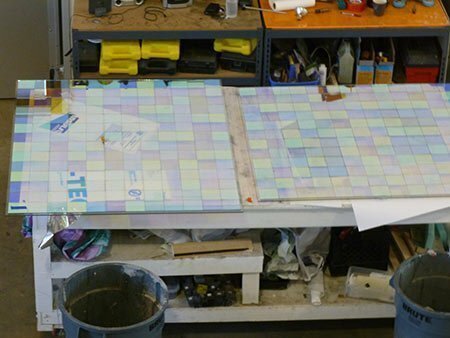 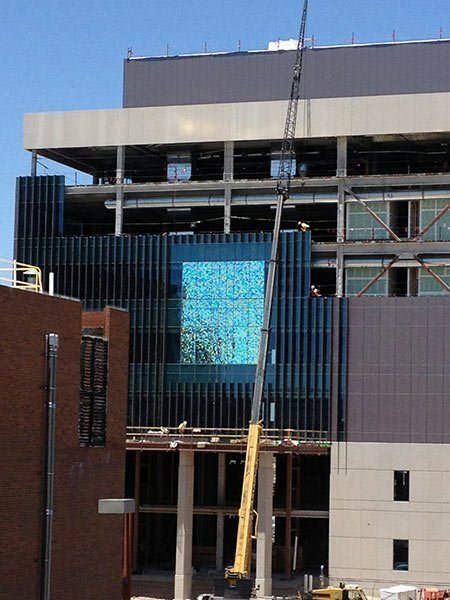 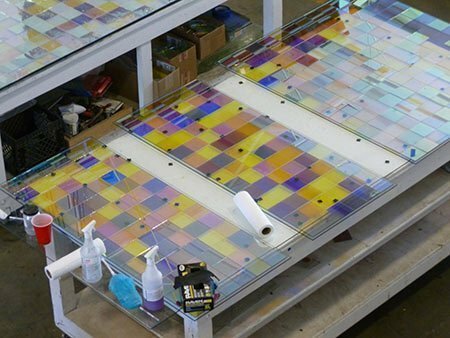 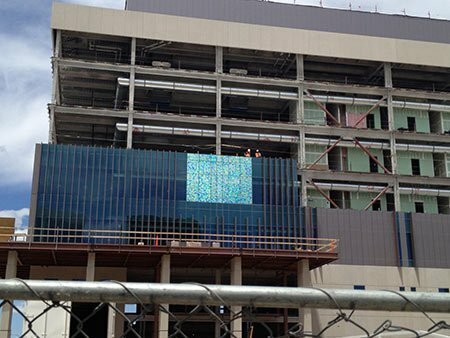 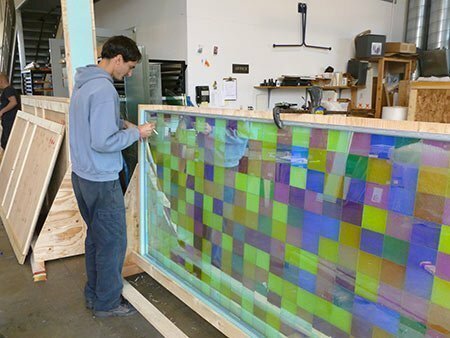 Thousands of multi colored dichroic glass tiles are laminated and encapsulated into a dual paned insulated glass unit. 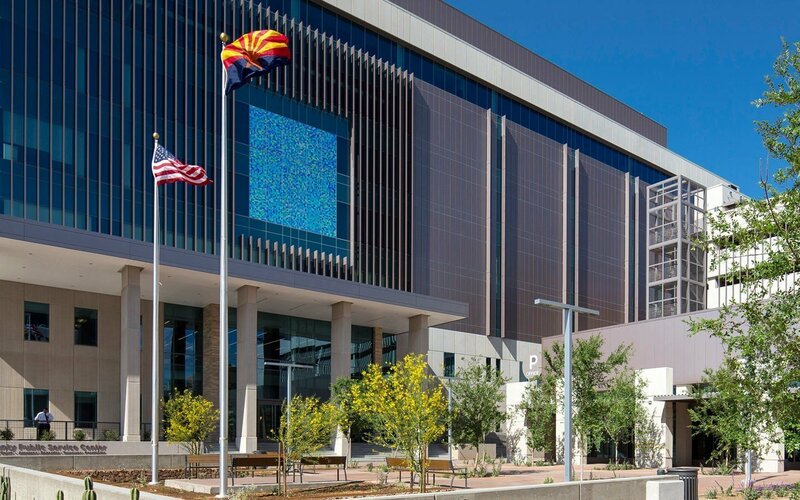 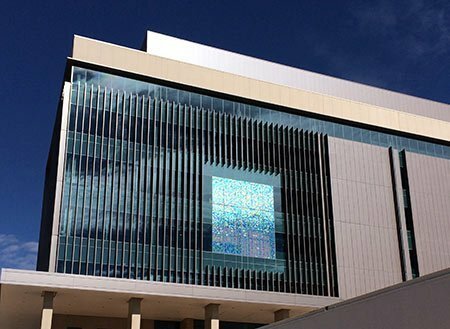 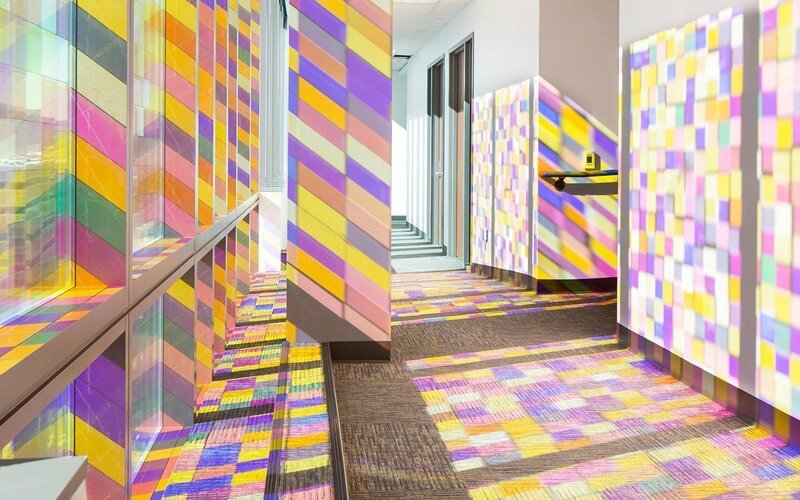 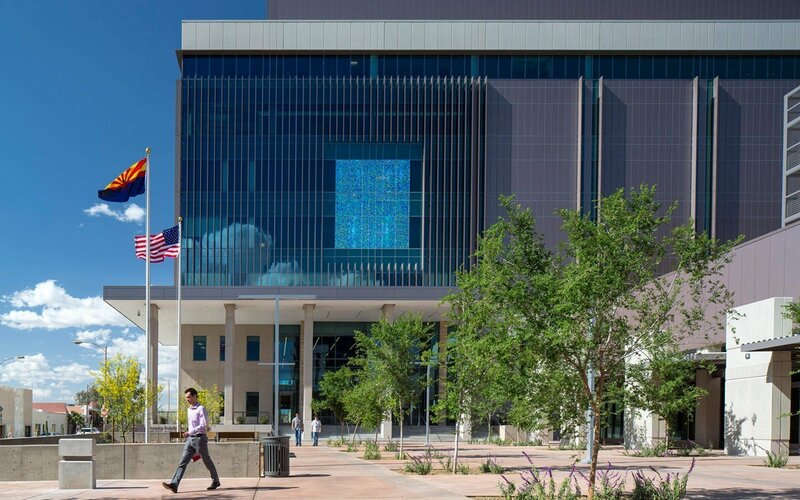 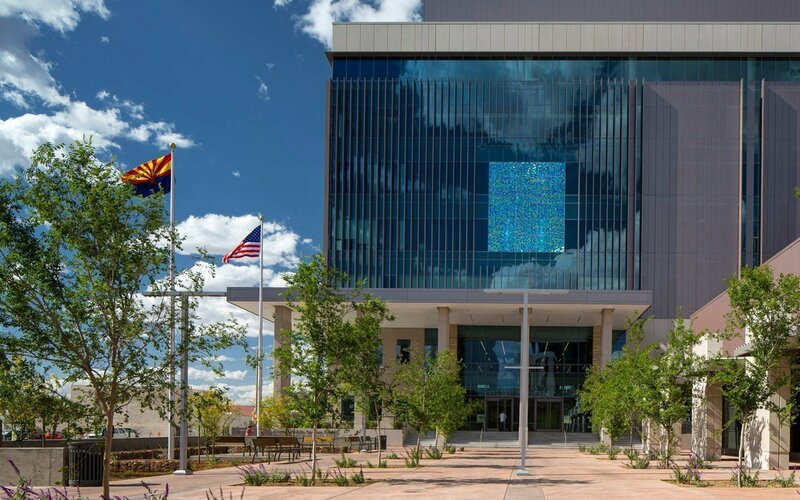 This installation reflects the strong desert sun and creates a dynamic expression of color and light, on both the exterior and interior of the building. 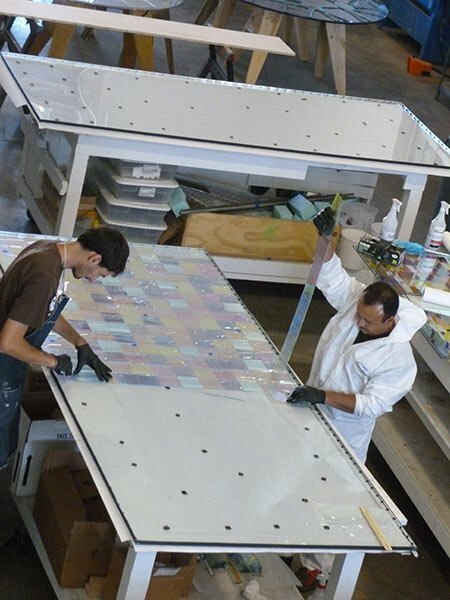 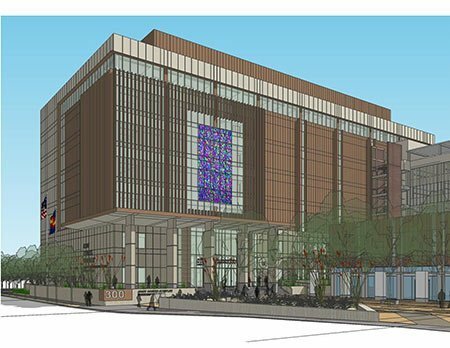 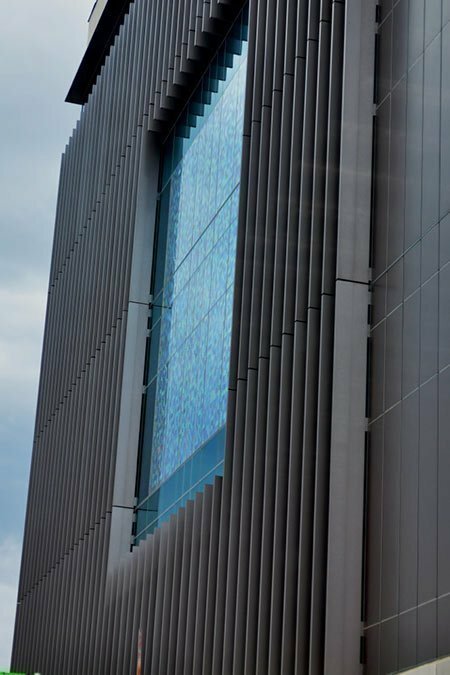 The artist worked closely with the project’s architectural and engineering team, coordinating fabrication and installation deadlines in step with the overall project’s construction calendar. 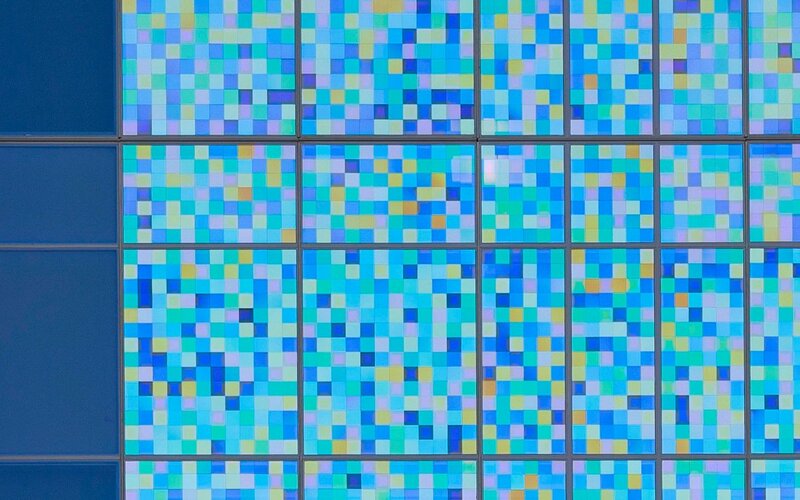 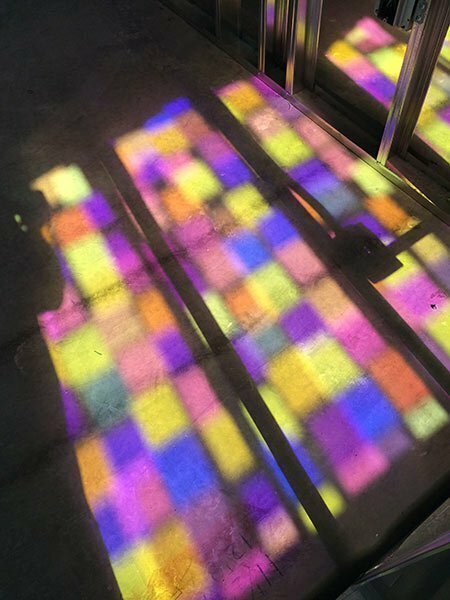 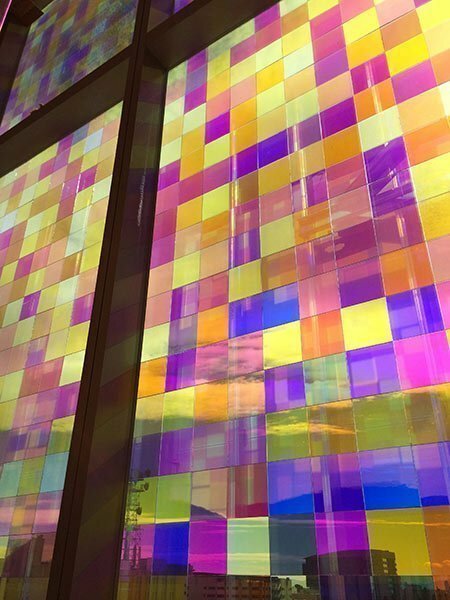 Dichroic glass contains microscopically thin layers of precious metals, metal oxides and silica, which are responsible for its reflective properties and vibrant colors. 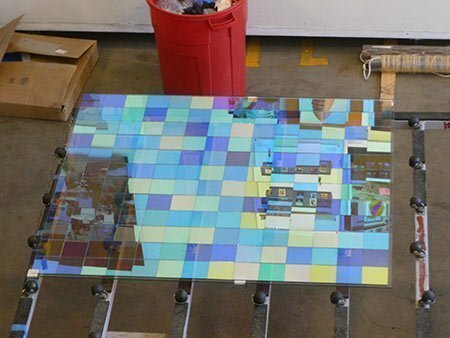 It has become a sought after element in contemporary art installations of many applications.